Innovative Materials Designed to Protect Sensitive Electronics. Our EMI shielding and thermal interface material portfolios were designed to give customers the ultimate in design flexibility. Go ahead and design your product the way you want it and we will adapt our EMI shielding and thermal interface materials to your design! 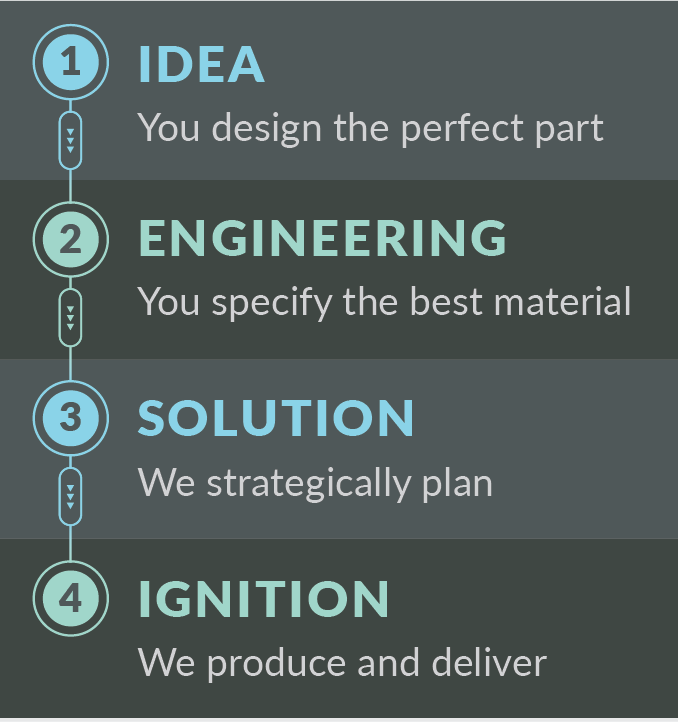 With manufacturing solutions ranging from dispensing, to die cutting to molding, we will work with your team to move you from idea to ignition! Nolato's Trishield® is a unique, innovative solution to sealing and gasketry. While traditional gaskets are die-cut from a separate piece of material to form a seal between surfaces, the Nolato Trishield® form-in-place process dispenses a precise string of electrically conductive silicone rubber directly onto one of the surfaces. Ready to accelerate the product realization process? Our turnkey RF shield program might be worth a look. Modus Advanced, Inc. is proud to offer a vertical integration solution designed for speed and precision. We will machine the RF shields, install the inserts, apply a Nolato form-in-place gasket, die cut Nolato Compatherm thermal pads and even add HiMag microwave absorbers. Compashield® extrusion is a line of versatile EMI shielding gaskets manufactured by string-injecting electrically conductive silicone rubber into customer-specified shapes and dimensions. These flexible, yet conductive materials can be extruded into rectangular, solid or hollow shapes when viewed in cross section. Ends can be spliced together creating full EMI shielding enclosure seals. WesShield™ EMI shielding gaskets are die cut or molded to customer's unique specifications. These materials are designed to solve challenging issues in military, aerospace, electronics and communications applications. Nolato's Compatherm® gap filler is a thermally conductive material that was developed to meet the growing demand for reliable, cost-effective thermal interface materials. WesTherm™ consists of multiple product families including thin films, non-silicone and phase change materials in a variety of thicknesses and compositions. These materials are engineered to provide an effective thermal interface between heat sinks and electronic devices. One of our proprietary product lines, HiMag™, is a collection of EMI/Microwave absorbing materials. These dense rubber and foam based products are an economic solution for microwave absorption. Discover why companies such as Tesla and Siemens see Modus Advanced, Inc. as the obvious choice to deliver reliable, high-quality custom products. How are our electronic materials being used today? Our thermal interface materials are currently being used to help cool everything from telecommunications equipment to electronics in critical medical equipment. In an effort to realize supply chain efficiency, those very same customers are leveraging our form in place EMI shielding gaskets on their RF shields and battery compartments.